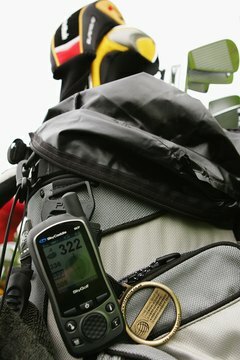 A GPS can help you on the course by giving real time distance measurement. Know the facts using this guide before purchasing. Golf GPS systems have become increasingly popular since their legalization by the USGA in sanctioned play. A Golf GPS system will help you lower your golf scores by providing instant feedback on the distance to the hole, hazards and other desired locations on the course you are playing. The lower cost the Golf GPS system, the less advanced features and supported courses will be on the unit. The more advanced golf GPS systems will even let you track what clubs you hit on each shot in order to determine the optimal range for each of your golf clubs. Determine your overall budget for a Golf GPS device before starting your research on which one to purchase. You will have to spend at least $100 USD for a low-end unit, with higher-end variants running upwards of $500 to $600. You don't have to spend your maximum budget on a device, but consumers can overspend on a unit if not determining the budget threshold prior to shopping. Decide how portable you desire your Golf GPS device to be. This will drive the size and potentially color of the screen of the devices that you consider for purchase. The cheaper golf GPS devices will normally provide a black and white screen. Determine if your favorite golf courses are supported by the Golf GPS device that you are considering. Your local course pros should know what devices they see players using, if you can not find this information on the manufacturer's website. Buying a Golf GPS device that you can't use for your weekly rounds will result in having to lose time with your new purchase by returning it to the manufacturer and waiting for a refund. Verify whether the device you are considering requires a monthly or annual subscription fee for new course maps or new course map downloads. Some devices charge these fees in exchange for a smaller up-front cost for the Golf GPS device. Not all devices require a subscription fee, but some may cost more to purchase initially. Compare the price difference between touch screen and menu button controls on the Golf GPS device brands that you are thinking of purchasing. The touch screen devices normally provide more control over picking real-time distances to points of interest on the course that may not be possible on older push-button-controlled models. Ask your local golf pro his or her opinion of your final two models under consideration. Taking their advice into consideration with the results of your research, make your purchase.